Regard Magazine was co-founded by Photographer Dimitry Loiseau and Hair and Make-up Artist, Valerie Noble. Through exclusive interviews with in-demand designers and celebrities we create beautiful ads and editorial spreads to feature the best in the fashion business. 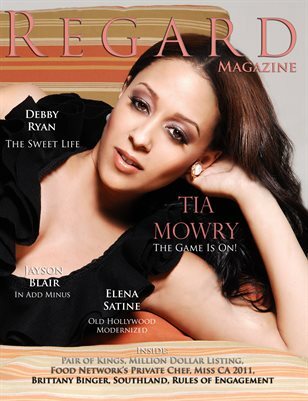 Tia Mowry: The Game is On!